This is a guest post from Elizabeth Plumb. She is an over-achieving, work-a-holic Capricorn mother and the owner of Thehomemakersjournal.com. She loves creating things, whether it is a delicious meal or creative craft. She likes to share her experiences, stresses, rants and the fun stuff, along with tips and ideas on ways to make life easier, healthier, prettier or tastier! Oh, the creativity begins! 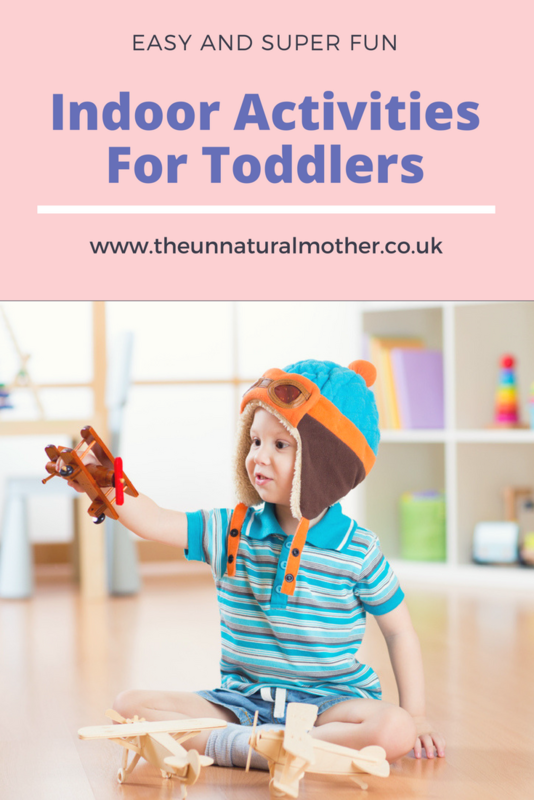 Encouraging toddlers to explore the right things and not get into too many of the wrong ones is a challenge! Attention span plays a part. Yesterday, we planned to stay at home at the weekend. So it looks like we are stuck at home for the majority of the day. On days like today, I normally feel a bit of panic, because when cooped up for too long, my child can become restless, grouchy and very whiny — things like “What can we do now?” will be asked several times. The same old activities get boring. So I like to have some fun things to do on days like today when it’s really not an option to go out and burn off some preschool energy. Here’s a couple of ideas to keep your kids busy! One of the best ways to pass some time is to bake with your kids. We all know that baking is a rewarding hobby and it’s a good opportunity for your kids to enjoy and choose bakeware sets for baking at home but there are a lot of other things you can do in the kitchen to keep them busy. There are a lot of easy activities you can do in the kitchen with your kids that require minimal ingredients/materials! When in doubt, pull out your craft supplies. When I’ve run out of ideas or just plain can’t think of anything interesting to do, I let my child go to town with her art supplies. If you’re feeling ambitious, you could get a head start on Valentine’s Day crafts, make some paper snowflakes, let your child free paint with paints or draw to their heart’s content. A big hit for me is pulling out a bunch of random supplies (cotton balls, pom poms, googly eyes, sparkles, stickers, etc.) and letting her make a collage of different materials. We usually kill an hour or so doing crafts each day, so if you’re desperate to end the “I’m BORREEDDD” comments, grab your paints and let them go to town! Treasure hunts or scavenger hunts are a perfect way to keep kids entertained…as long as you don’t mind them ransacking your house. Putting together a series of clues to find a prize can be so exciting for little ones, and depending on their age level, you can make the clues as challenging as you like to keep their brains working. A scavenger hunt is another great way to keep them busy and keep their imaginations going. I know this sounds a bit crazy. But some kids are still in the stage where they find helping their moms or dads around the house fun! Luckily my child still enjoys it so I will be soaking up this stage for as long as possible. Getting your kids to help you with chores around the house is a great way to show them that keeping the house tidy, neat and functional is a family effort. The list goes on. I’m always a happy mama when my kid decides to help me clean because she’s helping me to keep it tidy rather than destroying it! This is something new to me. Before, I would feel like I should be entertaining them at all times of the day with crafts, puppet shows, songs, etc. But then I slowly realized I was doing myself and her a disservice as she seemed to have trouble keeping herself occupied when I didn’t have an activity planned. When I was growing up, my mom played with us, but I also remember a lot of me whining “I’m bored” and my mom saying “Go find something to do!” I think it’s important for our kids to be able to get their imaginations going on their own without influence from their parents, T.V. or anything else besides themselves. I tried this out the other day, and after a few grunts and groans about being bored and wanting me to find something for her to do, she went off and played with her toys and amused herself for a while. Sometimes the best play is created out of being utterly, completely bored, and I think kids really need to learn how to do that. What are your favorite ways to keep your kids occupied on snow/indoor days? "HOW TO ORGANISE A TODDLER’S BIRTHDAY PARTY"
"HOW TO BE BODY CONFIDENT"